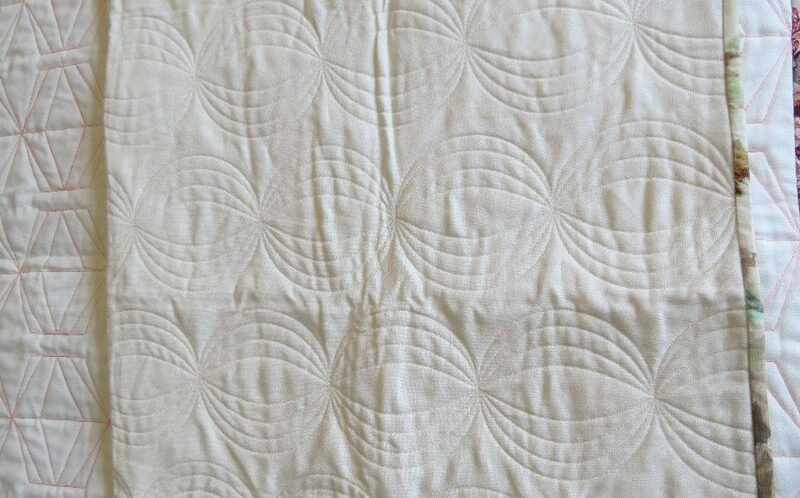 I have just two unique creamy one of a kind double bed quilted quilts available for you. The fabric is Ian Mankin, who are an established Made in Britain utilitarian brand, making quality furnishing fabrics. 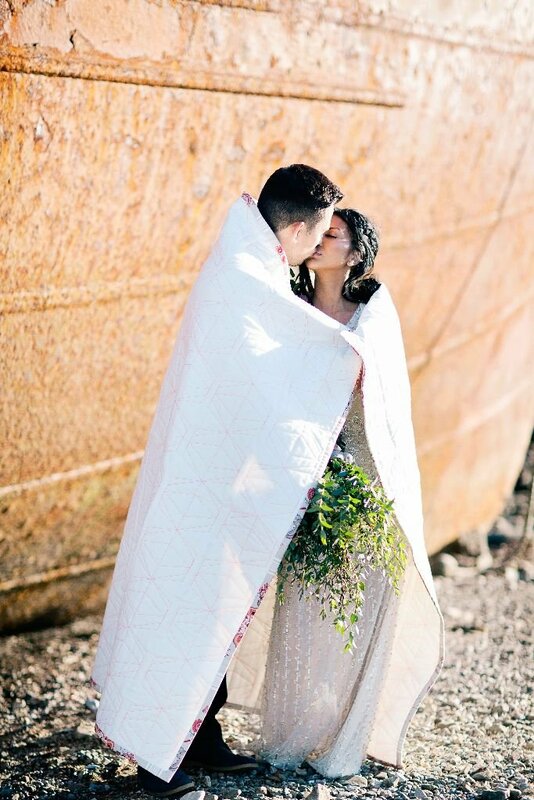 The cream cotton fabrics are slightly different on either side and both have interesting textural weaves to them. 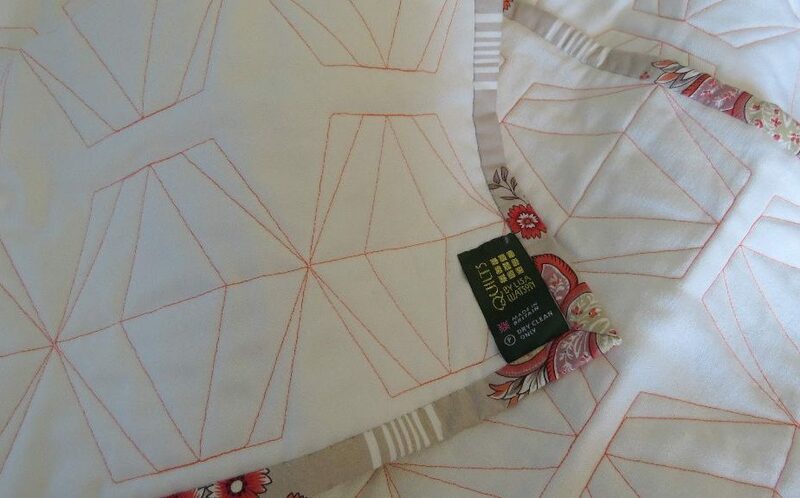 Both quilts have been expertly quilted by a long arm quilter with either a concentric repeat or a geometric motif (which has been quilted in orange thread) and have decorative cotton bindings stitched by hand. Both these quilts fit a double bed comfortably. Of course, they will also look fetching as a sofa throw and are great to cosy up in. When ordering, please let me know which contemporary design you wish; Concentric Repeat or Geometric Motif. 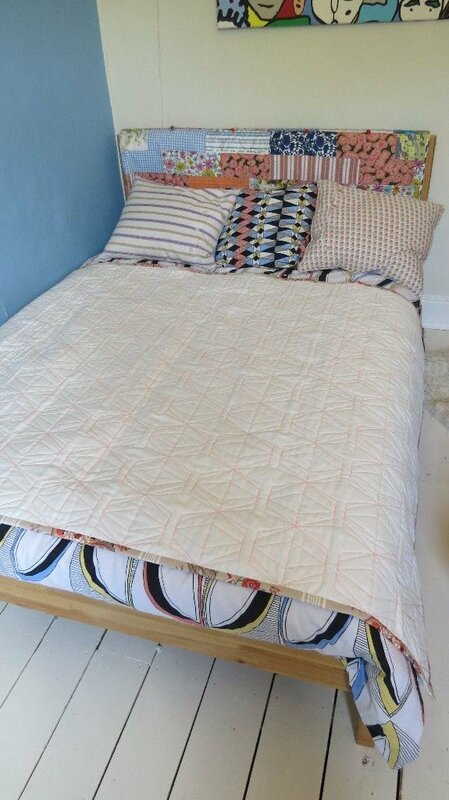 Quilt Care; This quilt is made from Ian Mankin upholstery fabric. 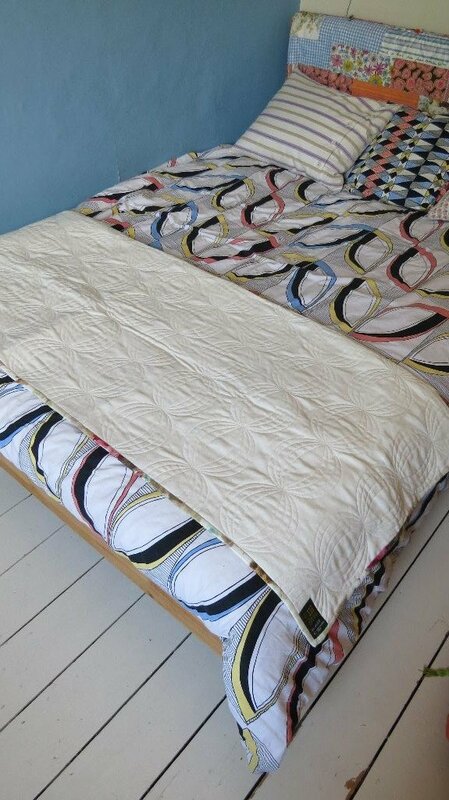 As such this quilt is robust and will wear well. Animal hairs can be removed by gentle hoovering. Small stains can be removed with a damp cloth. 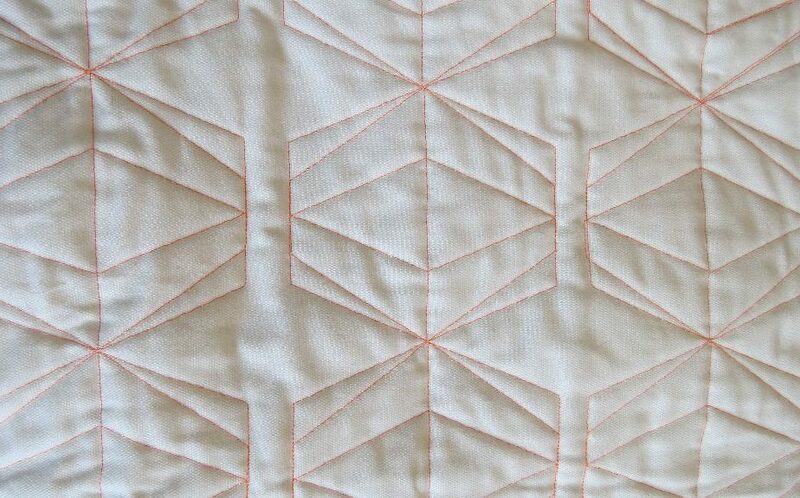 I suggest airing this quilt periodically to refresh it. For a thorough clean, I recommend Dry Clean Only. Additional terms If you have any quilt questions prior to purchasing, just get in touch with Lisa via the on-line contact form.